Name the diseases that it can be a vector? I guess it's an Aedes aegypti female, the mosquito-vector of Dengue disease - breeding human blood. 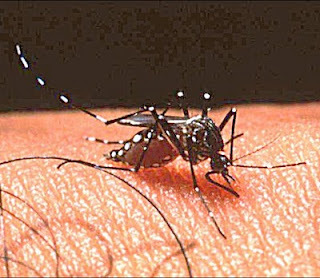 Its Aedes albopictus. Transmits dengue, chinkungunya etc.